During the Anzac day long weekend Jemery Ang fished the Warmies in Newport. 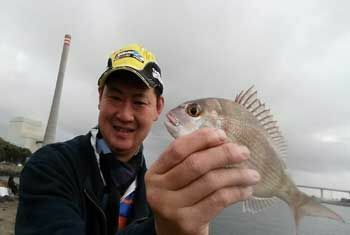 Jeremy caught many fish including Whiting, Trevally, Pinkies, Bream and Flathead. His best catches were are 32 cm Silver Trevally and a 34 cm Whiting. Most of the other fish were undersized and released to fight another day. Jeremy was mainly using sand worms and scrub worms as bait.